One of the best parts of being a blogger is discovering other bloggers. People who share the same passions and interests that you do. Another wonderful part of blogging is the network you create. Not only with readers, but other bloggers as well. Recently, I’ve connected with a group of up and coming amazing mom bloggers on Facebook and today, I’d like to introduce them to you. There will be a short bio for each along with a link to their blogs and where you can find them on social media. Many of these blogs are brand new, so definitely stop by and show your support. This is a round up post that each of us are participating in. 1. I’ll introduce myself first. For those who don’t know, I’m Darcey, a mom to an active and curious three-year-old girl. I’m an early childhood educator who is passionate about play based learning. You can find me at, AFlourishingRose.com. I write about motherhood, personal development and my experiences as an educator. Visit my blog for parenting tips, book recommendations, gift ideas and much more. 2. I am Mai, a mother of two beautiful girls in my thirties. In this blog I share about many of my random musings on motherhood — as it has given me a different perspective in life. Shay and Sons on Instagram. 8. Hi, I’m Jenn! A mother, a behavior specialist, a business owner, wife of a scientist, and lover of all things fermented. I was blessed with six amazing kids that range in age from 4 to 24 years old. With a background in behavior, two marriages, and 20+ years of parenting, I’ve got a lot to say about family time and raising kids in different stages of life; where to take them, what to feed them, and how to keep them entertained. Plus, things to do to maintain my own sanity like traveling, crafting, cooking, and shopping. I’d love to share my wisdom with you, so visit me at OneHoppyMomma.comand don’t forget to pour yourself a glass of your favorite beverage to enjoy while reading. 10. Meredith is a former pediatric RN turned stay at home mom to two littles. She has never met a carb, Target aisle, or glass of red wine she didn’t love. Join her over at Motherhood By Meredith as she finds grace in the messy side of motherhood. 12. I am Haley Crenwelge. I am a college graduate, single mother, writer, dreamer, 911 dispatcher, and future police officer. I have a beautiful daughter named Cahtalina Daenarys who was conceived only a month before my boyfriend committed suicide. I write a lifestyle/journey blog geared towards single mothers and helping them achieve their personal goals while still keeping up with the responsibilities surrounding their title of mother. You can find Haley at TheGermanGypsy.com. 13. Meagan is married to her high school sweetheart and is a stay at home mom to their two little girls. McKenzi, 7, and Sarah, 20 months. McKenzi is deaf and has a cochlear implant so this topic is talked about quite a bit on her blog. Meagan hopes to educate others on hearing loss in children. Her blog also has many tips on breastfeeding, co-sleeping, money saving ideas and more. I hope you enjoyed learning about these fantastic up and coming mom bloggers. Be sure to visit their blogs and show some love. These ladies are working hard and have great content. Maybe you’ll find a new favorite blog or two. Are there any other mom bloggers we should be following? Tell us in the comments. Thank you for this list of up and coming bloggers. I admire so many of these women and their writing already. I look forward to checking out some other ones that I am not familiar with from your list. I know. It’s amazing when I see some of these new bloggers. Their blogs look so professional and put together. It seems like they’ve been blogging forever. I just decided to start a blog one day and then jumped right in. I know most bloggers do tons of research ahead of time. Thank you for commenting. 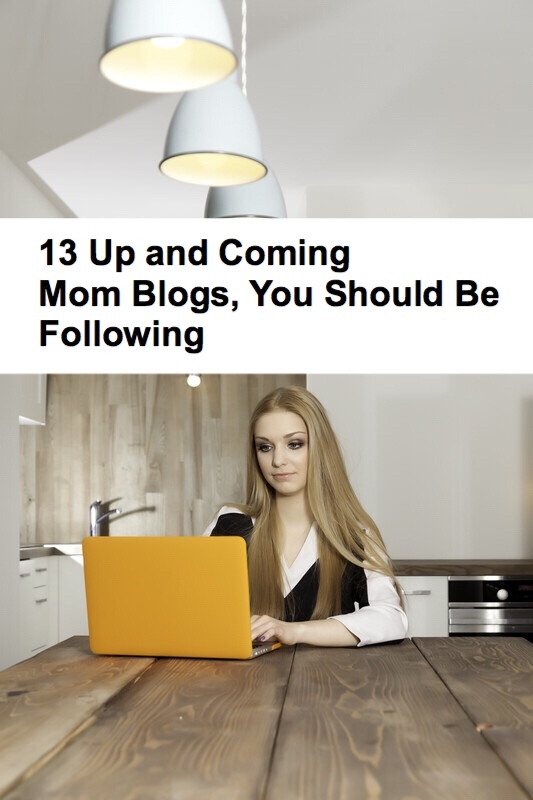 I’m glad you found some other blogs to follow from this list. I love finding new mom blogs. It amazes me how many blogs are out there. Thank you for commenting. Great to see a list of new people out there blogging! I have visited several of their sites. I always like to find new blogs and fresh perspectives too. Thank you for commenting. 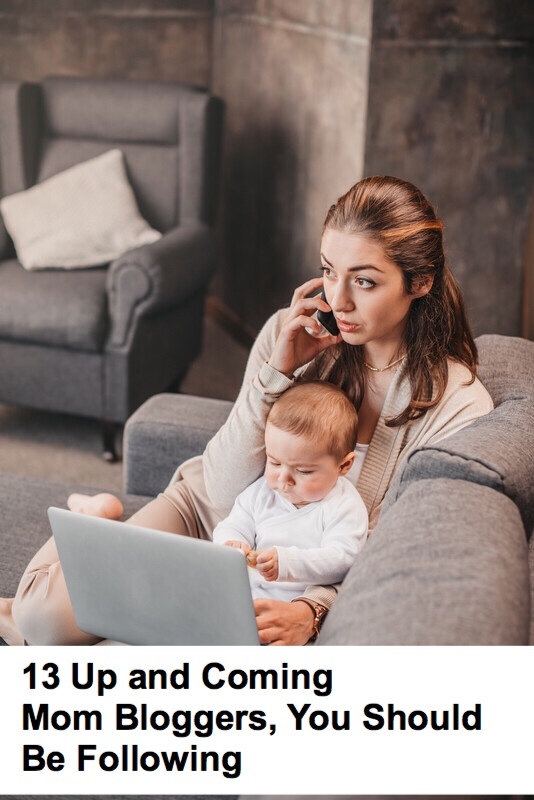 This is a very good post if you are a mom blogger yourself. I feel empowered when i see moms doing awesome with all the responsibilities that they have while managing a side hustle. As much time as I spend on my blog lately, I call it my second job. I haven’t been paid for any of it yet, but hopefully in the future. I look at it is something I’m doing for myself because I’m passionate about it and being a good role model for my daughter by putting in hard work that will hopefully pay off. Thank you for your comment.